Some of the UK's most exciting and cutting-edge aerospace and autonomous technology is being showcased in Southampton next week. 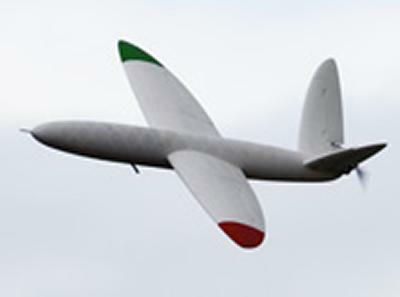 The University of Southampton is hosting the Autonomous and Advanced Systems Showcase event on Monday 3 February, where industry, government and academia will explore commercial and research opportunities to deliver the next generation of aerospace, marine, defence and other advanced systems technology to keep the UK at the forefront of these important industries. The Rt Hon David Willets, Minister of State for Universities and Science, will deliver the keynote speech followed by a range of prestigious speakers including Sir Brian Burridge, Vice President of Strategic Marketing at Finmeccanica UK, and Michael Pickwoad, Production Designer from Dr Who, who will talk about his creative process and the relationship between science and fiction. Professor Mark Spearing, Pro Vice-Chancellor (International) at the University of Southampton, says: “Autonomous and intelligent systems are a key technology for the future of aerospace and a range of industries. As one of the world’s leading Aerospace universities, we have combined our technical excellence with our enterprising nature to form an Aerospace University Industry Sector Team to play our part in global aerospace innovation and reinforce Southampton’s position as a vital aerospace network hub. The showcase will include both industry and University technology stands and live demonstrations of cutting-edge autonomous and intelligent systems, including unmanned aerial vehicles and underwater devices to help in the surveillance, maintenance and management of our society and infrastructure. The event will also include tours of the University’s Zepler Institute, the largest photonics and electronics institute in the UK, and engineering facilities including the RJ Mitchell Wind Tunnel, reverb and anechoic chambers and a live demonstration of active noise control of a Q400M aircraft. The showcase is sponsored by the Farnborough Aerospace Consortium (FAC) and the Aerospace, Aviation and Defence Knowledge Transfer Network (AAD KTN).